If you’ve lost a loved one due to someone else’s negligence or actions, you may be entitled to compensation on their behalf. Here is some basic information on wrongful death suits to help you, should you decide to take legal action. 1. What is a wrongful death claim? A wrongful death claim is a lawsuit that can be filed after someone’s death—if they died as a result of someone else’s negligence or actions. In order to file a claim, someone (another person or entity) must have been negligent or strictly liable for another’s death. 2. Who can file a wrongful death suit? In the state of Texas, a surviving spouse, child, or parent may file a wrongful death lawsuit after the death of their loved one. An adopted child (formally/legally adopted) can file a wrongful death suit after the death of an adoptive parent but not for their biological parents. A spouse can file a claim for their deceased partner if they were married formally or by common law. A spouse can still file a claim even if they were separated at the time of the other’s death. 3. What is the statute of limitations for a wrongful death suit in Texas? In the state of Texas, a family member of a deceased person has two years from the time of death to file a wrongful death suit. 4. How do I decide whom to sue in a wrongful death case? It is extremely important that you file a claim against the right person or entity, which is why you should always consult with an attorney before proceeding. You may be able to file a claim against a person, an employer, or another company—depending on who is at fault. 5. What types of damages can I expect, and how is the amount calculated? The type and amount of damages will vary from case to case. In a typical instance, you may be able to receive compensation for financial support, the cost of any pre-death medical treatments, and the cost of funeral or burial expenses. Your attorney can give you a better idea of how much to expect and if you are entitled to any other compensation. 6. 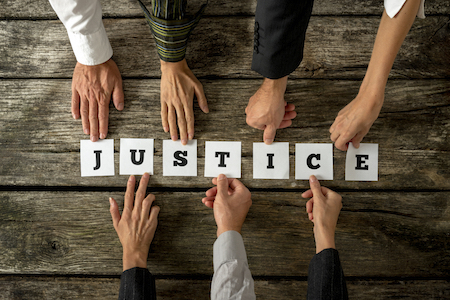 What is the difference between a civil lawsuit and a criminal one for wrongful death? In the event of someone’s death, a defendant can be made to stand trial in a criminal court and in civil court. Criminal trials are handled by the state and result in a “guilty” or “not guilty” verdict (leading to incarceration and/or fines), where civil trials are brought on by individuals and may result in a financial settlement or dismissal. 7. How soon should I contact a personal injury lawyer? Though it is a painful and trying time for you, you should contact an attorney as soon as possible after the death of a loved one. They can help ensure that you collect all of the information needed moving forward to help your case. Have more questions? Contact a Houston personal injury law firm. If you have any additional questions about wrongful death lawsuits or personal injury law in Texas, you should speak to a licensed attorney near you. Contact us for a free consultation or learn more about our legal services below.